Once your website is fully optimized & ready to “wow” people that visit it. It’s time to start considering internet advertising prices. Because just like local SEO, there is a right way, & a wrong way, to go about Houston local internet advertising. Paid for internet advertising is a pure ROI play. You’re either getting a good return on the money you put into it. Or, you are not. And the only way to answer the ROI question is to try it, right? But, what exactly should you try and for how long? ProEngage Local recommends the below Local Internet Advertising Options. We design creative ads that target local conversations. Research other ad campaigns from within your niche. Run your ads on the times setting frequency caps. Run ads in pre-set geographic areas targeting specific demographic groups. The only way to know is to test ads & make changes based on results. 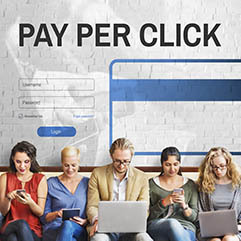 Three Pay Per Click Spending Level Options. We will help you set up your own Google account & manage everything from it. We use a combined keyword targeting approach for the best results. Our PPC approach utilizes multiple geographic targeting options. We set up your PPC campaign to show your ads to the best people. Set up your campaign to run at specific times with the option to turn on/off whenever you want. You found your way to our Houston internet advertising prices page. So, obviously you are looking for information about how to get more traffic to your website. And if you are a local Houston area business you found the right information source. ProEngage is a local web design, SEO, and Houston internet marketing services agency. We have worked with 100’s of local businesses with our proven local marketing programs. When it comes to deciding what, if any, internet advertising is best for your business. There is no set answer. But there is a process we recommend you go through to make the best decision. And by being on this page you are on your way. Because shopping internet marketing prices is a good place to start. And our internet marketing pricing is straight forward. We charge a monthly management fee to place and optimize paid for internet advertising. Then, on top of that, you tell us how much more you want to spend. And we go to work, getting you the best bang for your buck. With ProEngage Local’s transparent management fees, doing that calculation is easy. 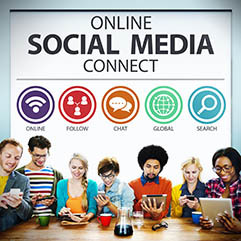 We charge $150/month to manage a social media campaign. And $200/month to manage a pay per click campaign. So, you can plug in how much you want to spend & subtract the management fee to know exactly how much media you are buying. The internet advertising prices you see above include both management fees & media. But again, there will always be a percent to total spend that goes toward the advertising. Start with the time it will take to do this yourself. Because, not only will it take time to set everything up. It will also take time to maintain. In fact, the biggest part of successful internet marketing is testing, tweaking, & optimizing your campaigns. Then, can you design attractive ads & write compelling ad copy? Finally, do you have a basic understanding of advertising jargon? Things like click through rates, cost per thousand, keyword types, & negative keywords? If not, these things can be learned. But most businesses we talk to are most concerned about the time it will take. No matter what the answers to the above questions are, it always comes back to ROI. Will paying a management fee for someone to manage your internet advertising bring you a return on your investment? We believe that 9 times out of 10 our internet advertising prices are such that it will. So, call ProEngage today to discuss what is best for your local Houston Texas business. Open the box for the service you want, read and agree to terms, then click the below button to check out. All our social media advertising packages are set-up as subscriptions. Meaning, for one low monthly management fee payment we will set-up, optimize, & maintain a Facebook ads campaign for as long as you choose. The subscription payment auto bills on the same day each month. Because it takes some time to test, tweak, & optimize your Facebook Ads, we recommend running your campaign for at least 3 months. However, this service does NOT require a minimum number of months. So, if for any reason, you want to stop running your ads, you can do so at any time prior to the next automatic billing date. All our PPC Management Packages are set-up as subscriptions. Meaning, for one low monthly management fee payment we will set-up, optimize, & maintain your PPC campaign for as long as you choose. The subscription payment auto bills on the same day each month. Because it takes some time to test, tweak, & optimize your ads, we recommend running your campaign for at least 3 months. However, this service does NOT require a minimum number of months. So, if for any reason, you want to stop our management service, you can do so at any time prior to the next automatic billing date. The monthly management fee covers everything needed to optimize & maintain you ppc account. Our management fee is the same for each campaign ($200/mo). Meaning for $200 per month we will manage your PPC campaign for you, via your own account. At whatever spend level you choose. But if your media buy exceeds $3000/mo. call us first for a custom quote. I have read and agree to the terms of service. Click this button to sign up for $200/mo managed PPC service.